About a year ago, I went to the comic shop and nothing had come out for me that week. I still wanted to buy some comics, because of course I'm going to, and in perusing the shelves of collected editions I stumbled across the first volume of Peter David's 2005-2013 X-Factor run, The Longest Night. It had recently finished up, and I had always heard good things, so I figured I'd give it a shot. A few days ago, I polished off the final two volumes, Hell on Earth War and The End of X-Factor. In the space of a year, I tracked down, bought, and devoured all 21 volumes (I probably would have done so even faster, but there were a few volumes in that last quarter of the series that Marvel had let go out of print, so it took some time to find copies at a decent price). Now with the entire series behind me, I'm feeling that mix of satisfaction and sadness that you can only get when you've gone on a journey with characters you've grown to know and love, magnified by mainlining said journey over a (comparatively) short period. 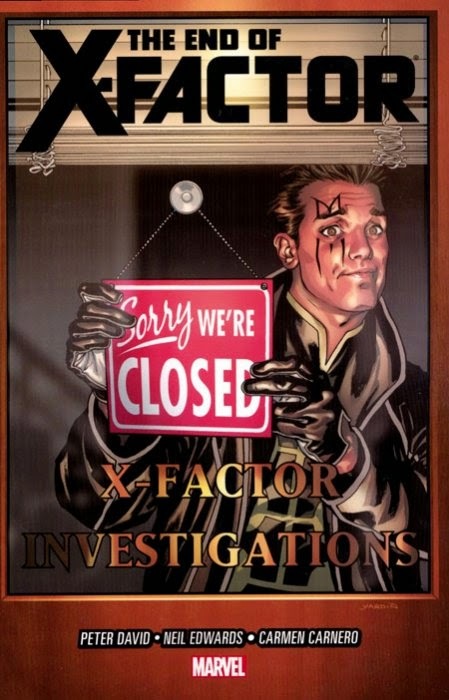 I decided very early in this experience that X-Factor was unquestionably my favorite X-Men-related series. At the end, I was surprised - grateful, but surprised - to realize that it might just be my favorite Marvel series overall. It might not be as important to the history of the Marvel Universe as say, Fantastic Four or Amazing Spider-Man (and I think Peter David himself would agree), but start to finish it provided me the most enjoyable and complete reading experience. I think a lot of the reason for that lies in those synonyms - "finish" and "complete". In corporate super hero comics, endings are tricky things. Successful books go on indefinitely, unsuccessful books come to quick halts, and everything in between goes through a perpetual cycle of reboots (hell, in the last decade or two, even the successful stuff is regularly retooled). A series that is allowed to tell a full story with a proper beginning, middle, and satisfying conclusion, with all the crests and troughs that happen in the midst of that, is a rare beast indeed. Stan Lee used to talk about "the illusion of change," the idea that characters will experience milestones in their lives that seem to move the plot along (Peter Parker graduates high school), but at the end of the day everything's pretty much the same (the next day he's back at the Daily Bugle selling pictures to Jonah). But we saw the members of X-Factor change and grow; not always for the better, mind you, but still, they changed. Madrox started off being looked at as a joke, but became a capable leader. Layla was a tween girl who annoyed everyone because she "knew stuff," but after some time travel came back an adult forced to make some difficult (and arguably wrong) decisions out of love. Guido went from the likeable lug to literally soulless. Rahne's past caught up with her several times. Rictor and Shatterstar shocked a fanbase (and created a bigger one in their wake). Monet... well, Monet retained a lot of her same difficult exterior, but we got to see a lot of what made her that way. By the series' end, each of the characters, even the lesser ones like Pip and Darwin, were markedly different than at the beginning. 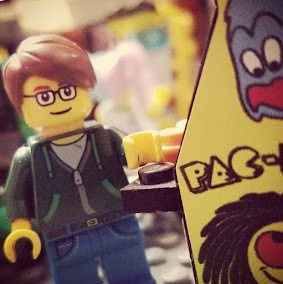 Actual change, genuine character growth... it's a precious and beautiful thing in any story, but especially so in corporate comics, where it's all about keeping the IP recognizable for the licensors and Hollywood. Of course, no one's likely to make this version of X-Factor into a TV show (though oh my god they definitely need to make this into a TV show... Netflix, give this a look). And somehow, it didn't even have to play in the larger pool of the major Marvel or even X-specific crossovers. 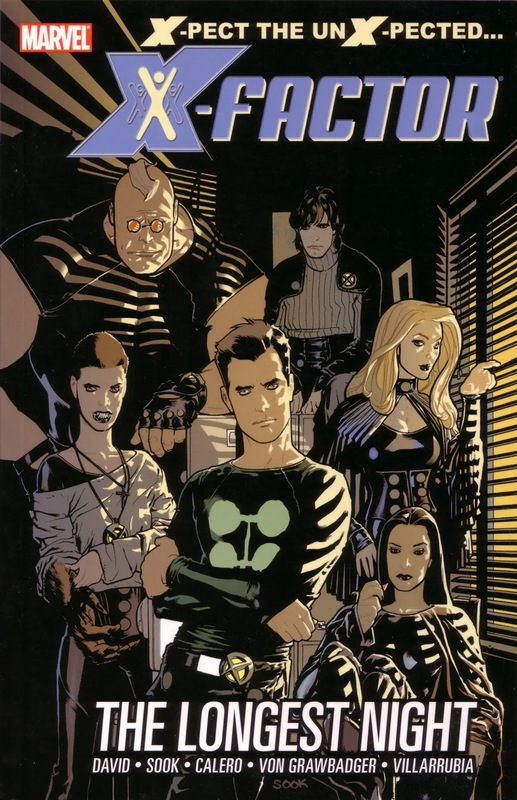 Three issues played a part in the Messiah Complex story, the team briefly visited the X-Men on the island of Utopia, Wolverine kept their detective services on retainer when he became head of the Jean Grey School, and Havok showed up for a minute to bridge the gap between his Starjammers and Avengers tenures. That's it. For the most part, this book was left alone, and while Peter David certainly played with some of the pieces available to him as a part of the larger Marvel Universe, he was mostly left to do his own thing, and so the team did mostly their own things. There's a great freedom in being left alone and without the pressure & expectations that wider recognition and attention bring. That's how the X-Men became The X-Men, after all... the original book failed so no one had huge expectations for the revival, and folks like Wein, Claremont, Cockrum, and Byrne could do their thing and wait for the rest of the world to catch up. X-Factor didn't have that same trajectory - maybe for the best, but seriously, Netflix, get on it - but in this constant cycle of event-reboot-reset-event, that sort of space is astonishing. Do I wish this version of the book could have gone on and on? Maybe a little. Partially because of course I want more stories to read, and I'm saddened at the thought that these characters are only ever one writer or editorial edict away from being brought back and changed into something I may not like as well. And, of course, I'm kicking myself that I didn't jump on much sooner. But as it stands, I can't be upset because what I was left with was a perfect, whole story that held me from beginning to end. It wasn't always a happy journey - not gonna lie, the thing with Terry's baby absolutely killed me and yes, of course I cried a little - but it was always an interesting one, and so to Peter David and the many artists who helped make this book, I say thank you. I'm going to give these characters and their world a little bit of space now, but I know I'll be reading the entire thing again someday, and I'm really looking forward to that.